Will this business give me a good work/life balance? Can I get a good Return On Investment from this business? You need to consider all of these questions when you are looking at the business you want to invest in for your future. The key advantages of Kwik Kerb are its earning potential, flexibility and work-life balance. 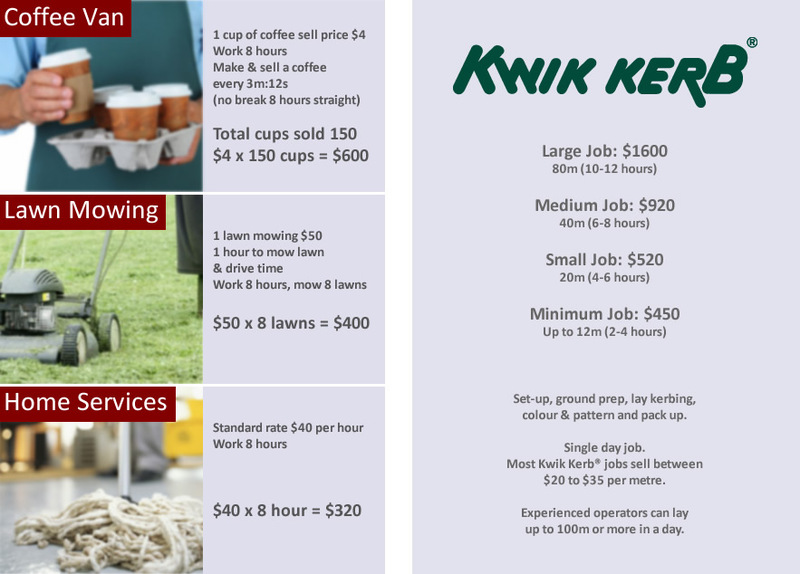 Below are some daily comparisons, between Kwik Kerb and other business or franchise opportunities. *NOTE: All figures are example only, Kwik Kerb prices may vary between jobsites. Other business figures are estimates only.